To be perfectly honest, Koper doesn’t really do nightlife. It is a quiet place, and the majority of Old Town’s residents seem to like it that way, There are places to go and get a casual drink or two, and indeed, there are some very nice places to sit and be trendy with achingly fashionable types in the latest sunglasses, but this is a city that generally likes to go to bed early with a good book. As such, those looking for a raucous time would be well advised to go elsewhere. 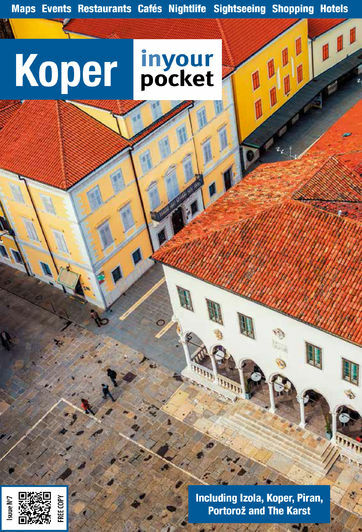 Those who do insist on a bit of Koper nocturnal activity tend to head for the cafes and bars that surround Ukmarjev Trg, and stretch along the seafront from there.